Hey everyone! In honor of FINCON this week (a conference for financial bloggers that I'll be attending in Dallas) I have a special post for you. If you're a normal reader that doesn't care about blogging or launching products, don't worry. I want you to go head over to Minafi.com and take a look at this interactive guide to early retirement and financial independence made by my friend Adam! It's one of the best financial independence guides I've seen so far on the internet. Launching content you've put a lot of time into never stops being scary. After 6 weeks working on it, I recently went through this experience on a new piece of content: An Interactive Guide to Early Retirement and Financial Independence. While building, writing and marketing this guide I've learned a lot. This post highlights some of what I learned from this experience. The launch for this guide went far better than I ever would have imagined. Tweets and links started building, and within a week it hit 10,000 views when just a week before my entire site was receiving barely 10 views a week. Here's what worked for me. You may already be aware of the top sites in your niche, but what about the top posts? Start by making a list of these sites and looking at the content they feature. What posts are cornerstone in your market? To understand which posts people are linking to, you can use an analysis tool like ahrefs, or do a Google search of people linking to a specific URL. If you start a list of these posts across a number of sites, some posts will stand out as having a high number of backlinks. Almost without fail these posts will be very beginner in their focus. Although you may have many experts currently reading your content, imagine how many more beginners there are out there that you could onboard. Beginner content is a great place to start. The posts that are the top in your niche are only there because a lot of people received value from them. Trying to create even more value isn't going to be an easy task, if possible at all. Here are some ideas on ways to make the content 10x better. How can you structure your content to relate to an even wider audience? The total addressable market of beginners wanting to become experts is larger than the expert community. If you're going for total reach, think about the beginners. Even if you're not a designer, what visuals can you bring in that add value to your readers? These could be graphs, flowcharts, screenshots, tables of information or visual representations of your ideas. For my interactive guide, I decided to go this route and put together an interactive calculator. Here's a sample of some of the interactions used in the post. Even if you're not a developer, there are over 400 easily embeddable providers that make creating interactivity possible through Embedly. For example – interactive charts from ChartBlocks, interactive quizzes from Qzzr or interactive maps from Google Maps. I first learned about Embedly because it's the only way to inject interactivity into Medium posts. WordPress also supports adding these by putting a URL alone on a line or using the “Add Media > Insert from URL” option. Here's an example of an embedded (and interactive) chart. Adding these interactive elements takes some brainstorming, but can help get a point across in ways text cannot. Using data in a post, in the form of research results is a great way to communicate a point. If you can find other case studies and reference them, you can highlight to your readers what the most important facts are without them needing to be experts on the subject. Maybe one of the top posts in your niche is amazing but dated. If you can bring the content up to date, it could appeal to a new audience that is not connecting with the existing style. None of these might result in a post you can write that's 10x better, but perhaps they can serve as inspiration for something completely original that you can create. Once you have a topic and a plan on how you can improve it, the next step is the hardest – creating something amazing. To do that takes considerably more time than a usual post. If you usually spend a day or two on a piece of content, what could you create if you worked on it for for a month? Focus on removing the time limitation and instead think about creating something that solves a problem for your audience. Not every post needs to have this level of detail – nor should it. Some posts serve as reminders or introductions to topics, others serve as cornerstone content. It's these cornerstone pieces that are worth the additional effort to produce something that sticks in your readers' minds. Most content is written from a single voice. What if you structure your content as the collective intelligence of the community? By infusing your content with additional voices, you add to the credibility of your content while keeping it interesting. Involving others not only makes for better content, it allows you a chance to get to know others in your niche. These relationships can pay off in unexpected ways down the line. If you're creating something that offers them value as well, they'll be more likely to share your content with their audience. Reaching out to others is a lot of work. For the launch of the interactive guide, I ended up reaching out to over 100 people – each direct communication with a custom message written to them. Sometimes I only reached out to one or two people in a night, while other days I posted on a forum and was able to connect with a dozen people at once. Keep a running email list of everyone you've collaborated with. It'll come in handy later. Rather than trying to get your post perfect, try iterating on it. For my interactive guide, I started with an outline and then turned that into a draft of each section, then a draft of the entire post. By splitting the post into sections, I was able to set daily goals – write a draft of section 2, write a draft of section 3, create the draft of visual assets for section 4, etc. Trying to tackle all of these pieces at once is daunting, but splitting up the work to an hour a day (or as much time as you want to spend) helps motivation. The draft also serves as a great time to share your post with others and get feedback. For this piece of content, you'll want to read over dozens of times. This isn't only to catch spelling and grammar errors, but to make sure you're solving reader problems and connecting with them in the way you set out to. Read over it with your audience in mind. Read over it with your desired audience in mind. Read over it with someone you want to share it with in mind. Read over with a mentor in mind. Read over it with someone you respect in mind. After each time you read through, make edits to better target that audience. Once you're ready to launch, it's time to share it! By keeping track of everyone you've collaborated with, this step should be an easy one. You can use Yet Another Mail Merge with Google Sheets to automate sending these emails. Send them a quick thanks for their feedback so far, and let them know you've launched and that it's now OK to share. 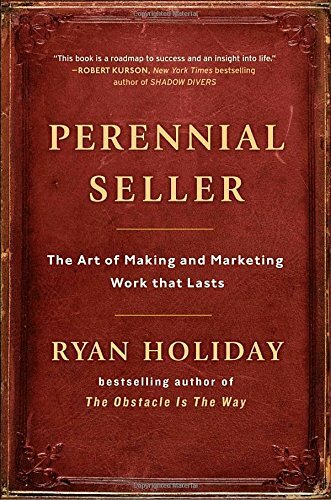 A great book about creating longlasting content is Ryan Holiday's Perennial Seller. Holiday focuses on techniques used by authors and other creatives to create enduring successes. When creating something you're going to spend a great deal of time on, being in this mindset helps to not rush the process. Is it better to launch something 2 weeks sooner, or launch something people will remember for 2 weeks longer? One core idea from Perennial Seller that really stuck with me is to spend as long promoting your creation as you spend creating it. I tend to release things and hope for the best, but this advice helped focus on a glaring gap in my strategy. Even if you've built something that people want to read, if you don't get the word out people won't know about it! For me this meant reaching out contributors, searching for people who linked to the top post I targeted to make 10x better and connect with them, find places to guest post and share my launch story, and reach out to podcasts in my niche. Promoting without appearing spammy takes work, but if you have created something you are truly proud of you'll be a lot less likely to second guess your yourself. If you know your work can help people and add value to their lives, you don't need to put on a false facade. How would you promote something you've invested weeks or months of time in? Thanks for sharing some of your thoughts, Adam. I have an idea I THINK could be pretty awesome but it’s going to take a buttload of time and patience to get right. It’s not going to be easy, but few thing worth doing are easy, right? 🙂 I’m definitely stealing some tips from this post to help me. That guide is one of the most innovating, awesome things I’ve seen come out of the PF community in a really long time. Kudos for putting in the work and polishing it to where it landed. Thanks Dave! I’d say go for it – even if it’s just spending an hour a week chipping away at it. I know for me progress is the best motivator. If I see that something is coming together I’ll work harder on it. Thanks for sharing! I’m finding that my budget food and almost free travel posts do much better than the ones where I talk specifically about money for money’s sake. And I’m finding they’re more fun to write, too! Great guide! Saving this for reference later this week. So mad we can’t make it to Fin Con this year! Looking forward to next year as we are not missing it! Looking forward to seeing your Instagram Stories while your there. Ps. Bring back some crazy awesome tips and tricks for us. Maybe a list of the top things you learn this year for a post? Yeah I’ll definitely be rocking the Insta story haha. I think that’s a good idea – I can’t remember if I did a FinCon post last year or not. This is a great post! I didn’t know if those sites that create media you can embed on a site. Definitely using this. Thanks Mike! The amount of things you can embed easily is pretty impressive. I tried the interactive guide when you launched and I can definitely say it’s one of the best things I have ever come across online. And thanks for the tips too, it will help us with some of our side gigs. That looks like a pretty slick interactive guide, I think I’ll check it out more thoroughly now! I recently just started my own blog and cant’ wait to put the 8 steps above into work. I really need to concentrate on 3 and do things right the first time! I think right now I’ll do some 6 and edit, edit, edit! Awesome September monthly report (those are my favorites). Way to crush it! I can’t wait to see October’s for you! P.S. I just signed up for you free 8 day blogging course, looking forward to implementing that as well! Adam, your interactive guide is wonderful! Do you think that Reddit is a good tool to promote your blog and gain viewership or is it better used as a tool for learning through discussion with others? Maybe both? I don’t have a lot of experience with Reddit and I’m wondering if I’m missing out on some opportunities there.